Montana Bison and Buffalo Hunts | Bow & Rifle Hunting. As far as states go, you can't get more wild than Montana, and for hunting, you can't get more wild than buffalo. If you're an avid Montana hunter, love the taste of wild game, and you've already cut your teeth on other animals, it might be time to move on to something bigger. So what should you choose as your next kill? The good news is that you can't get any bigger than a buffalo. The North American Bison is the largest big game animal on the continent and is one of the most exciting animals you can hunt. Unfortunately, up until 2005, hunting bison in Montana was illegal, but thanks to regulatory changes you don't have to worry as long as you have a tag. 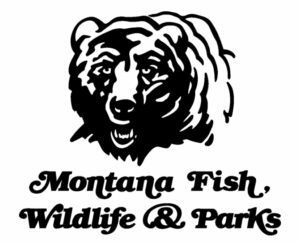 Since 2004, 92,341 Montana buffalo hunters have applied for a bison tag with Montana Fish, Wildlife, & Parks, and only 508 of them have received a bison tag. That means that if you apply for a tag you have a .55% chance of having your application selected. To make matters worse, even if you get a tag and pay for the license, you might not harvest a buffalo. From 2005-2015, only 318 buffalo have actually been harvested in Montana, meaning that if you're part of the 508 hunters who got a tag, you have a 62.6% chance of actually killing a bison. To put it all in perspective, if you're one of the 92 thousand people who applied for a tag during that time, your chance of killing a bison was .34%. So, if your dream is to harvest a bison or buffalo, what should you do? That's where Hi Mountian Bison & Buffalo Hunts comes in. We've been in business for 16 years, and before that we were booking agents for Ted Turner. When it comes to bison, we know what we're doing, and we love the chance to share that with you. At Hi Mountian, we offer bison hunts year round, so you don't have to worry about hunting season and can make your hunt fit your schedule. In addition, we guarantee that you'll get your buffalo, so you don't have to worry about becoming another statistic in that sea of 92 thousand other hunters. Instead, we'll treat you to a great time and show you around our ranch, then guide you into the area and let you bag your own buffalo. If you want to wait for your hide to be tanned we can help you do that, or you can purchase one that has already been tanned and save the six-month wait. We recommend you take a look at our gallery to get an idea of the area around our ranch, and check out our hunting reservations page to find information on our hunts. We also want to invite you to get in contact with us if you have any questions about our ranch and what we can do for you.